The boss of a struggling Brighton charity says it has worked hard to turn round its finances after failing to submit its accounts for almost two years. 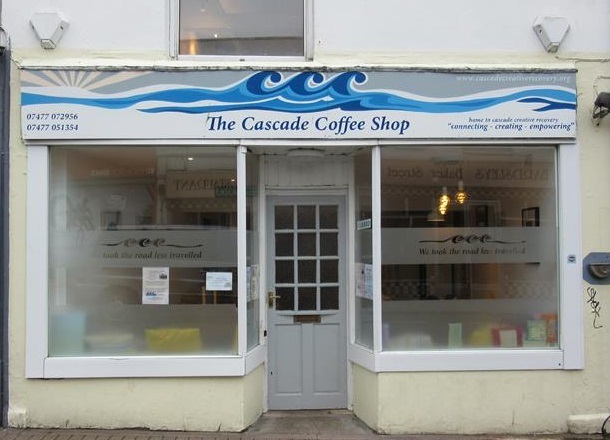 Pete Davies, founder of Cascade Creative Recovery which works with recovering addicts from its cafe in Baker Street, said the charity had refocused its efforts, and new processes had now been put in place to ensure that records were kept up to date. The Charity Commission had warned it that failing to submit the accounts could lead to it being struck of its register. A lack of transparency also opened the charity to accusations of mismanagement and even breaking the law. But with the accounts filed on Monday, Mr Davies says the charity is in a much better position to weather ongoing austerity as a result of all the changes which has been made. He said: “It’s been a steep learning curve. At the beginning of the year we had six weeks of workshops and restructuring and identifying what we needed to put in place. “We were overstretching ourselves and trying to meet unrealistic expectations given our funding situation. “We deliver services with minimal costs but there are other considerations such as public liability insurance, rent, council tax, any small business or charity will tell you the council tax relief has declined. The charity was first registered in September 2013, and opened the cafe three and a half years ago. It got initial set up grants from Public Health England and Brighton and Hove City Council, and has received ongoing funding from Pavilions, supplemented by fundraising. Mr Davies said: “We opened the year that austerity hit Brighton and Hove City council. Within two months of us opening, the council announced massive cuts to services including drug and alcohol services so our timing wasn’t great, but that can’t be helped. “A lot of small charities struggle around this particular aspect of service delivery. Funders don’t fund accountants and solicitors. They fund pool tables and minibuses and nice stuff. “I’m not talking about Pavilions here, which covers our core costs – half of that just goes on rent, insurance and council tax, just running the building. “We have one and a half employees so it’s not like the money is going on wages. We spend £6,500 a year on travel – that’s just bus fares for our volunteers. “We are helping people replace a dysfunctional community with a positive, healthy community, whether that’s providing a safe space where they can build themselves up, or join a choir which performs in places like the Tate Modern, a drama collective which has worked with Kate Tempest at Brighton Festival. This all builds up self esteem. “It’s pretty good going for the amount of funding that we get. We’re open six days a week, and on bank holidays and over Christmas when statutory services are closed. A Charity Commission spokesperson said: “Trustees have a legal obligation to submit a charity’s annual financial accounts on time and in full. In some cases, failure to file can be an indicator of wider governance issues within the charity and by extension, can affect a charity’s reputation.